Are you looking for a more exciting and challenging career with opportunities for self-development? Then check out what makes Zenith Bank the best place to work. The Zenith Bank recruitment has commenced. Applicants who are interested or know someone who is interested should not hesitate to apply or inform them as mass recruitment is going on. This recruitment is strictly for applicants who meet the bank's entry requirements. Zenith Bank PLC is a visionary company that continues to re-invent itself to deliver valued products and services. Zenith is a highly dynamic bank, which provides a veritable ground for those who are pragmatic, innovative, focused and hardworking to develop themselves. Join us! Applicants should click HERE to register. After registration, CLICK HERE to Login, then access the application form. It is important to visit the official website for complete information and start your applications. Zenith Bank is one of Nigeria's largest banks. Established in May 1990, it became a public limited company on June 17, 2004 and was listed on the Nigeria Stock Exchange on October 21, 2004. 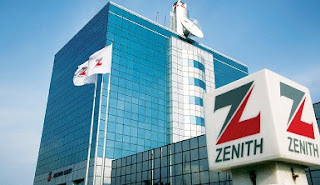 With its headquarters in Lagos, Nigeria, Zenith Bank has more than 350 branches and business offices spread across all states of the Federation and the Federal Capital Territory (FCT), Abuja. Zenith Bank has presence in the United Kingdom, United Arab Emirates, Ghana, Sierra Leone and The Gambia. The Bank also has representative offices in South Africa and China and plans are afoot to take the Zenith franchise to other Sub-African regions as well as the European and Asian markets while consolidating its position as a leading financial service provider in Nigeria and locations where she currently operate. Please do you know when the application will expire? I want to apply but I don't have an Nysc discharge certificate yet. I will be passing out in October. Am I eligible?